What is a Rug Loom and How is it Used for Weaving Rugs? The rug loom is an important tool utilized in the weaving of rugs and carpets. Basically, a rug loom is a simple frame for constructing the rug foundation and the face or pile. It consists of two horizontal bars held apart by two more perpendicular or vertical bars. The vertical warp yarns are then wrapped around the horizontal bars in close parallel rows. The former type is used by village and city weavers. The latter type is typical of nomadic, tent-dwelling weavers. 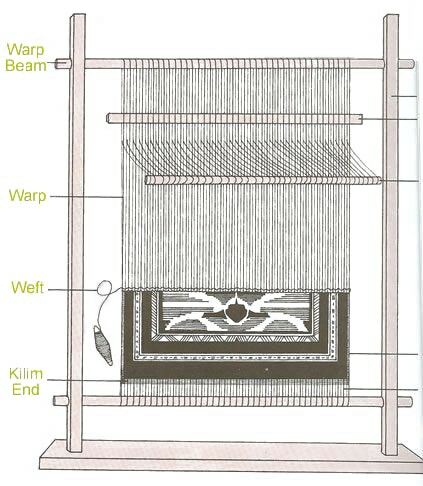 For longer pieces the warps may be extend repeatedly and indefinitely by tying on additional lengths of yarn, while the lower horizontal bar can be rotated as a roller, both to maintain the tension on the warps, and to roll up the portion of the rug that has been completed. 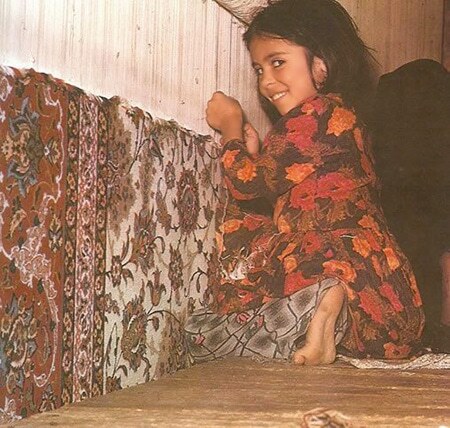 This article about the Rug Loom and how they are used to construct and weave carpets was published by Nazmiyal Antique Rugs.